Your Positive Posture masterwork is the embodiment of decades of research, testing, and refinement. Built of the finest materials. Crafted to the highest quality standards. Infinitely adjustable. Both an elegant escape from the demands of your day and a source of invigorating rejuvenation. It will change your life now and serve you faithfully for decades to come. You can return your order within 60 days for any reason and we'll even pay for the return shipping. Just give us a call and we'll send a truck to pick it up. We don’t charge restocking fees on Osaki, Luraco, Infinity, Human Touch, TruMedic, Titan, Apex, Bodyfriend, Dr Fuji, Breo, IB Wellness, or Uknead products. So you would receive a full refund, minus $250 for the original shipping. Upgrades like assembly service are non refundable. We reserve the right to charge up to a 15% restocking fee on Inada, Panasonic and Positive Posture products. What features & benefits are you looking for in a massage chair? Let us know and we'll be happy to recommend the best chair for you with the highest satisfaction rating. We represent all of the leading brands, so we can provide our objective opinion. 97% of our customers are very happy with our recommendations. But just in case you're not, you have the option to return it. Each shipment is carefully inspected and well packaged so damages and defects are very rare. We guarantee you will receive exactly what you ordered. 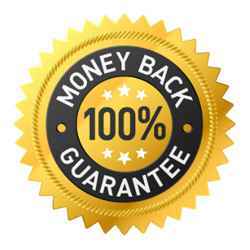 So if there is any issue, we'll take care of it at no charge, whether that means shipping a replacement chair or part. Simply contact us by emailing us, calling us or using our Contact Form. We will organize everything including scheduling a truck to pick it up from you and issuing your refund. Step 3 - On the checkout page under Payment Information, select "Pay Over Time" option. Step 4 - Click on the button that says "As low as $..." option. Step 5 - A pop-up window will appear that says "Pay over time." Fill out/check all the fields and click the button at the bottom. Step 6 - Follow the instructions to complete your order. In the final window, click the "Accept & Checkout" button. Step 7 - You have successfully placed your order! *The term is for a loan to finance a purchase. Rates range from 0% to 29.99% APR, resulting in, for example, 18 equal monthly payments of $55.56 at 0% APR or 36 equal monthly payments of $31.33 to $42.45 at 7.99% to 29.99% APR per $1,000 borrowed. Your terms may vary and are subject to application. Bread® loans are made by Cross River Bank, a New Jersey Chartered Bank, Member FDIC. Step 1 - Read the terms and fill out a quick application here. Step 3 - On your shopping cart page, click the "Checkout with Paypal" button. You will be redirected to Paypal's website (or the Paypal app will open up when in mobile). Step 5 - After successfully completing the process, an order confirmation email will be sent to you. If you already have an Amazon account, you can use the information stored in your Amazon account to pay conveniently. You won’t even be need to enter your credit card number. We do not share your password and payment information. Your purchases are protected by the A-to-Z Guarantee. Access your shipping and payment information from your Amazon Payments account. Use Amazon to log into this site without another password. We are committed to offering you the best deal on your massage chair purchase. So if you find a better offer elsewhere, let us know and we'll do our best to match it or beat it. Just click the chat icon in the bottom right corner and talk to one of our experts. Please enter your complete information in the form below and state which model/s you'd like to get a Price Match on. Name or model # of the chair? What price would you like us to match? Automatically enjoy these 3 benefits when you purchase from EasyMassageChair, a Norton Shopping Guarantee endorsed merchant. 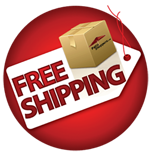 Shipping is free for all orders within the continental 48 states! Orders are typically delivered within 2 weeks. We will email you tracking info in 3-4 business days. You'll receive a phone call 1-2 days prior so you can schedule a convenient day/time. You don’t have to worry about them showing up unannounced. Do I need Indoor Setup (also known as white glove service) or can I do it myself? - The chairs are easy to assemble. It only takes about 20 minutes. The only reason assembly is required is because most chairs ship with the arms detached to make it narrower, lighter and easier to move into your home. - The assembly is basically just screwing the arms to the chair. It includes easy to follow instructions and does not require special tools or skills. - If you want them to setup the chair inside your home, you can select the option for “Indoor Setup & Assembly”. We don't recommend it for most people it because it's an easy way to save yourself the money. But we're happy to add it to your order if you'd like. - Yes, we ship many massage chairs to Canada. Total turnaround time is typically about 2 and a half weeks. We make it easy by handling all of the importing paperwork. We also pay for the customs brokerage and filing fees. - GST (usually 4.9%) and duties if levied, would be billed to the customer. Duties have never been levied on massage chairs we’ve shipped to Canada. You won't have to pay sales tax on purchases from Easy Massage Chair. We are only required to charge sales tax for deliveries to our NJ customers since our office is located in NJ. And for our NJ customers, we will even pay your sales tax for you (does not apply to purchases made using the Make Offer feature). So the only customers who will be charged sales tax are our NJ customers who choose to use the Make Offer feature. Your purchase will help the homeless. When you purchase from EasyMassageChair.com, we donate a portion of the proceeds to the Salvation Army, a charity organization that operates shelters for the homeless and disaster relief to developing countries. Your support of this important cause is greatly appreciated and there is no additional cost to you. For details or to help contribute, please contact us. We aim to be the easiest place for you to shop for your massage chair. When shopping at our competitors sites for a massage chair, we found it to be tricky and even a little scary sometimes. At most of our competitors, we had difficultly contacting a real person at the company. And their return policies were unfriendly. Many of them stated that they would charge us exorbitant restocking fees. What is Indoor Setup & Assembly (also known as White Glove Service)? Indoor Setup & Assembly means that they will bring it inside your home and fully assemble the chair wherever you'd like. You won't have to lift a finger. Regular shipping includes delivery to your location, but not indoors. In our experience, most delivery people are nice and will usually bring it inside your garage or to your front door. They are not obligated to bring it indoors however. Do I need Indoor Setup & Assembly or can I do it myself? - you would prefer to spend the extra money to have someone do it for you. Infinity chairs are highly regarded for durability, so we don’t generally recommend the extended warranty on this item. Most customers can expect 15+ plus years of regular usage without ever requiring service. Even after the warranty period, the manufacturer still provides parts or service as needed at cost price. If you’d like to decide later, you can still add the extended warranty up to 30 days after you receive your chair. Human Touch chairs are highly regarded for durability, so we don’t generally recommend the extended warranty on this item. Most customers can expect 15+ plus years of regular usage without ever requiring service. Even after the warranty period, the manufacturer still provides parts or service as needed at cost price. If you’d like to decide later, you can add the extended warranty up to 30 days after you receive your chair. Osaki, Titan & Apex chairs are highly regarded for durability, so we don’t generally recommend the extended warranty. Most customers can expect 15+ plus years of regular usage without ever requiring service. Even after the warranty period, the manufacturer still provides parts or service as needed at cost price. If you’d like to decide later, you can still add the extended warranty up to 30 days after you receive your chair. Luraco chairs are highly regarded for durability, so we don’t generally recommend the extended warranty on this item. Most customers can expect 15+ plus years of regular usage without ever requiring service. Even after the warranty period, the manufacturer still provides parts or service as needed at cost price. If you’d like to decide later, you can add the extended warranty up to 30 days after you receive your chair. Panasonic, Inada & Positive Posture chairs are highly regarded for durability, so we don’t generally recommend the extended warranty on this item. Most customers can expect 15+ plus years of regular usage without ever requiring service. Even after the warranty period, the manufacturer still provides parts or service as needed at cost price. If you’d like to decide later, you can add the extended warranty up to 30 days after you receive your chair. Panasonic & Inada chairs are highly regarded for durability, so we don’t generally recommend the extended warranty on this item. Most customers can expect 15+ plus years of regular usage without ever requiring service. Even after the warranty period, the manufacturer still provides parts or service as needed at cost price. If you’d like to decide later, you can add the extended warranty up to 30 days after you receive your chair. You can return your order within 60 days for any reason. We'll even pay for the return shipping. We don’t charge restocking fees on Osaki, Luraco, Infinity, Human Touch, TruMedic, Titan, Apex, Dr Fuji, Breo, IB Wellness, or Uknead products. We do reserve the right to charge up to a 15% restocking fee on Inada, Panasonic and Positive Posture products. You can return your order within 60 days for any reason. We'll even pay for the return shipping and we don’t charge restocking fees. So you would receive a full refund, minus the actual original shipping cost (typically about $250 for standard shipping. Upgrades like assembly service are non refundable). It includes a 3 year manufacturer warranty on the parts. And for the 1st year, in home labor service* is also included. 3D massage means that the intensity of the massage can be much stronger because the rollers push out significantly further. This is adjustable so you can make the intensity very gentle or up to high intensity. Zero Gravity refers to a reclined position where your legs are slightly bent. A NASA study determined this to be the best position to evenly distribute your weight, to decompress your spine, to reduce back stress and tension, as well as improving your circulation. This position also allows the massage rollers to give you a deeper massage. L track means that the rollers continue down past your lower back to massage the buttocks muscles and also under the thigh muscles. It includes a 5 year manufacturer warranty on the parts. And for the first 3 years, in home labor service* is also included. 4D massage is similar to 3D in that the massage intensity can easily be adjusted from very gentle up to very high intensity. This is because the rollers can push out several inches further. 4D has an additional benefit. When the back rollers sense a tight muscle, they will slow down to spend more time there and focus additional pressure to your muscles that need it most. This is similar to how a human masseuse will spend more time on the most tense muscles. With S-Track, the back massage rollers conform to the natural “S” shaped curve of your spine. This allows the rollers to fully reach every point of your spine, soothing stress and relieving pain and tension. This S-track massage will leave you with long-lasting comfort and relaxation. This feature releases tension in your spine by gently pulling your legs and feet down, while pulling your shoulders back, resulting in a very relaxing stretch. During this stretch, the main back roller massagers move up and down the spine. This advanced multi-functional system provides an excellent spinal correction. Tension in your spine is relieved by using airbags to grip your entire body. Heat therapy warms and loosens your muscles to better prepare your body for the massage. This allows the chair to be placed just a few inches from your wall. Older models that do not have space saving technology generally require about 2 feet of clearance space away from your wall. It includes 5 years manufacturer warranty on the parts and 3 years in home labor service*. It includes a 5 years manufacturer warranty on the frame, 3 years warranty on the parts and 1 year in-home labor repair service*. It includes a 5 year manufacturer warranty on the structure, 3 years warranty on the parts, and 1 year in-home service*. It includes a 3 year manufacturer warranty on the structure, 2 years warranty on the parts, and 1 year in-home service*. It includes a 2 year manufacturer warranty on the structure, 1 year warranty on the parts, and 90 days in-home service*. It includes a 5 year manufacturer warranty on the structure, 3 years warranty on the parts, and 3 years in-home service*. For residential use, it includes a 3 year manufacturer warranty on the parts & in home labor service*. For commercial** use, no warranty is included but you can purchase it for $200/year for up to 3 years. Please check the optional upgrades above. **Any chair delivered to a commercial address is considered by the manufacturer as for commercial use.